This pioneering volume summarizes the results of diverse research on Pleistocene environments and the cultural and biological evolution of man in Africa. 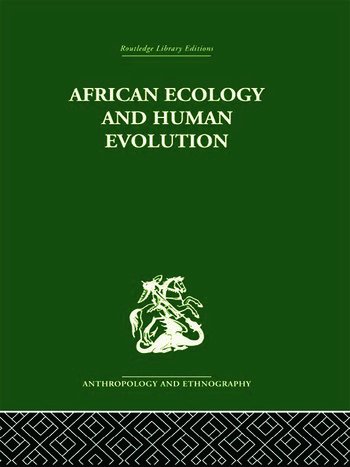 The book includes chapters on Pleistocene stratigraphy and climatic changes throughout the African continent; on the ecology, biology and sociology of African primate and human populations. Contributors include: C. Arambourg, P. Biberson, W. W. Bishop, Geoffrey Bond, F. Bourlière, Karl W. Butzer, Desmond Clark, H. B. S. Cooke, Irven DeVore, John T. Emlen, A. T. Grove, J. de Heinzelin, J. Hiernaux, Clark Howell, L. S. B. Leakey, I. Liben, T. Monod, R. F. Moreau, R. A. pullan, J. T. Robinson, George B. Schaller, S. L. Washburn.